Maine Dartmouth Family Practice (MDFP) is located at 149 North Street in Waterville. Established in 1990, the practice serves approximately 5,500 patients with about 20,000 patient visits per year. This growing practice moved from Fairfield to Waterville in 2014 and is now housed on the second floor of the Thayer Center for Health (TCH). 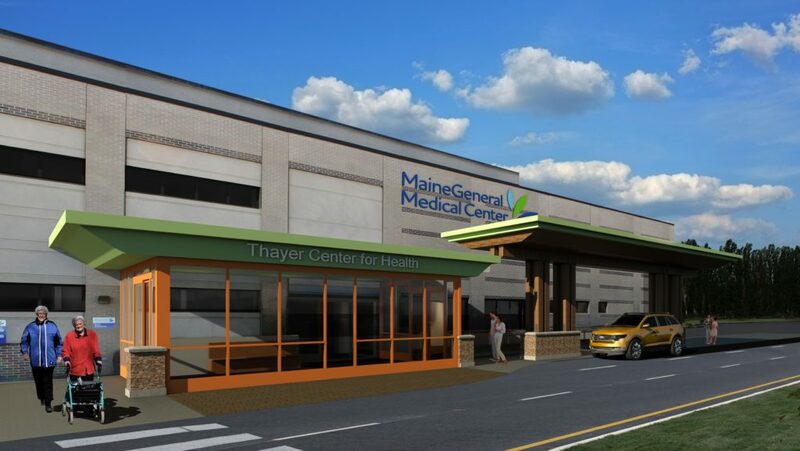 The Thayer Center is a comprehensive outpatient center, offering one-stop access to a number of services including an emergency department. Although the building is home to many outpatient practices, Maine Dartmouth Family Practice is the only primary care practice at Thayer. Forty percent of MDFMR’s family medicine residents are based at this site, and if they elect to do so, geriatric medicine fellows may maintain a small family medicine continuity outpatient panel at MDFP. The Waterville practice serves a mixed suburban and rural population. The faculty at MDFP includes five family medicine physicians, a pediatrician, and four PA/NPs. The practice is divided into three care teams to create a more personal experience for patients. A psychologist and a social worker are embedded in the practice and accept referrals from all teams. There are several procedure rooms for colposcopy, vasectomy, LEEP, and minor surgery. There is also a dental procedure room where extractions are done. General hours of operation are Monday 8AM to 8PM and Tuesday-Friday 8AM to 5PM. An open-access scheduling system allows patients to be seen within 48 hours of their request.